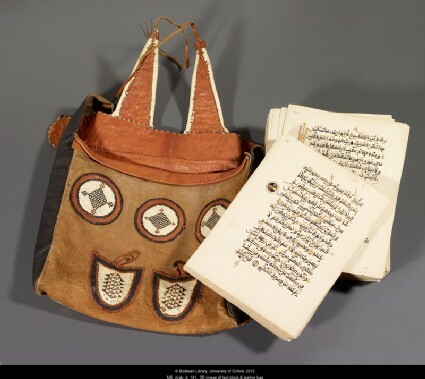 Exceptionally well preserved, this unbound Qur’an exemplifies the originality of West African book production. 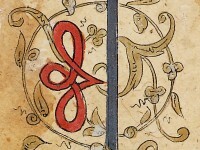 The text, written in a variant of the maghribi script, is divided into four parts marked by a full-page decoration that heavily draws on the designs used in the local textile production. The leather bag is contemporary with the text, and was used to store and conveniently transport the loose folios.